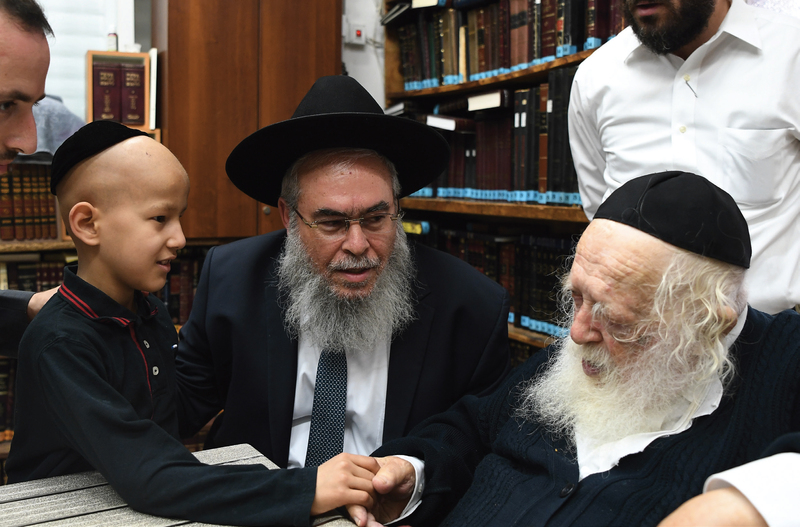 A full night’s sleep is a rare luxury for Rav Chananya Chollak, founder of Ezer Mizion. Those that need him are told that they can call anytime and they do. It is not unusual for his phone to ring at 3:00 A.M. Rav Chollak hears a panicky voice of a son, whose father is terminally ill and on oxygen. “The tank is almost empty! What should I do? !” Rav Chollak’s soothing, caring voice calms the son. Another tank arrives almost immediately. 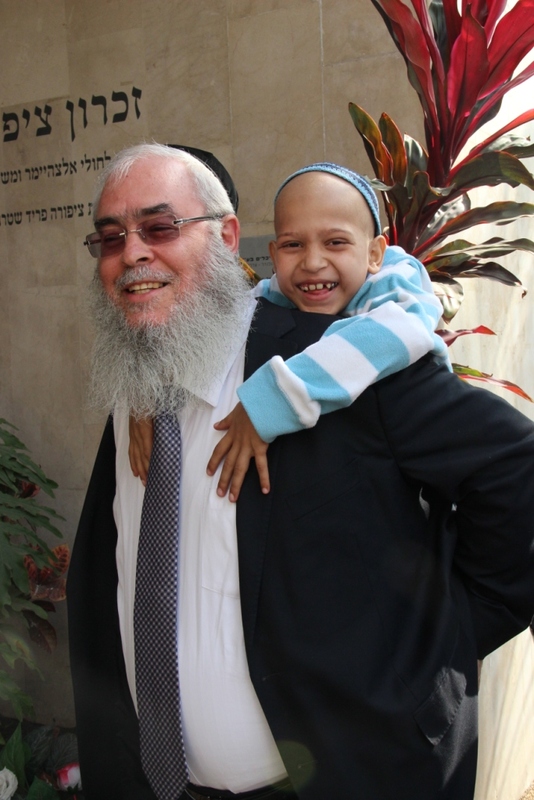 Rav Chollak does not return to his bed until he is certain that it has come, is set up and the father is doing well. His phone remains at his bedside, ready for the next opportunity to help another Jew. Nighttime, Shabbos, Yom Tov…these are not off times for Rav Chollak. Daavening (praying) in shul (synagogue) Friday night, he feels a tap on his shoulder, not an unusual occurrence. A fellow congregant motions for him to close his siddur (prayerbook) and follow him outside. He knew the news was not good. A young father, who had been in an accident together with his wife, had died. The wife was still hospitalized. Someone needs to inform the children, someone who will know just what to say and how to say it. The traumatized wife asked that the message be delivered to her children by Rav Chollak who, with his immense sensitivity, is often called upon to perform this task. In his work, he has seen what most of us never do. One of his most heartrending stories is of the dying mother who taught her son herself how to say Kaddish when the time comes. “Ribono shel Olom (G-d) , when will it end?” he cries. It was his own personal experience that led to the founding of Ezer Mizion. A young chosson (newly married man), he found himself spending more time in the hospital during shana rishona (first year of marriage) than with his new kallah (bride). His father-in-law, a relatively young man, had suffered a sudden stroke. It was there that he himself underwent the struggles of caring for a severely ill family member. At the hospital, he was also exposed to other families, one of which was a patient on dialysis who was forced to spend a lot of money from his dwindling savings for ambulances, six trips per week. Young Chananya spoke to a friend who owned a van and convinced him to donate it to the cause. The van was then professionally outfitted as an ambulance, enabling the dialysis patient and so many more like him to be transported free of charge to their clinic appointments. 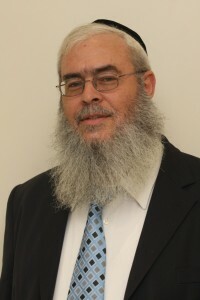 Thus Ezer Mizion’s Transportation Division, with its fleet of ambulances outfitted for the mobility impaired and the respiratory impaired, was born. While spending time with his father-in-law in the hospital, he noticed the parents of a small girl with cancer who did not leave her bedside for a moment. “How can they do it?” he thought to himself. “And what about the other kids at home?” he and his wife, Leah A’H, discussed how they can help. Leah began cooking meals for the family and they recruited friends to take turns relieving the parents so they can spend time with the other children. The immense pots on Leah’s stove gave rise to Ezer Mizion’s Food Division which sends hundreds of thousands of meals to families dealing with serious illness.